Movement is good for the mind, body and soul and it doesn't have to mean grueling it out in a gym for hours a day. It can just mean walking around the block or doing some yoga stretches to get started. Here are the products that can give your body a boost and they are extra easy to get in your home this month. This energy complex helps our mitochondria work more efficiently which allows our body to better function. The Mitochondria is the power house of our cells and when our cells our happy our health is happy. I use this daily and like to take on an empty tummy with one Terrazyme first thing in the morning with a big glass of lemon water. PS: If you are purchasing a Life Long Vitality Pack this can be an add on item and it's 10% off as an add on item. 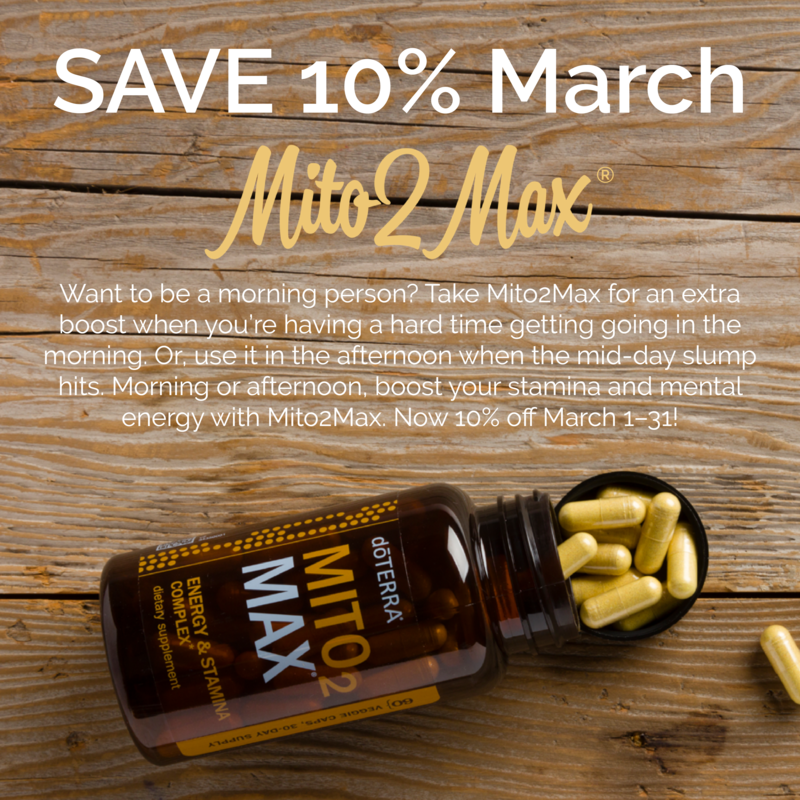 This is THE BEST way to purchase it and the best way to have optimal results when taken with the nutrients your body needs. 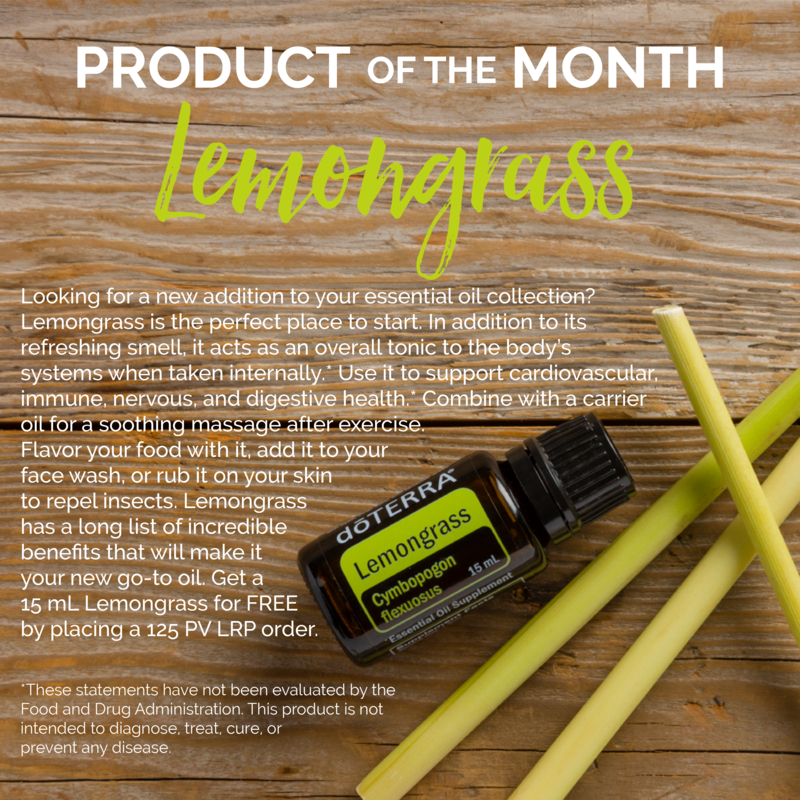 Lemongrass loves to help us get moving and really promotes circulation in the body, both on the physical and emotion levels. This one can be diffused, applied topically and taken internally. Find your favorite way to enjoy. Receive a Deep Blue Oil and Deep Blue rub with all 200 PV orders! How cool is this? When you get started with your doTERRA Wholesale account you have access to this DEEP BLUE for FREE (almost a $100 value to get started) To take advantage let's hop on call and I can help you get started in the best way possible for your home and so I can get you started in a VIP way!